PIXAR Snags Their 2013 Release Date For… A Movie. That’s All We Know. The Daily Blam! has the scoop that Hellboy creator Mike Mignola is saying (in a kind of weirdly passive-aggressive way, check out the link) that Guillermo Del Toro is not interested in making Hellboy 3 anymore, despite claims a few years back that he had an end in mind to the trilogy. 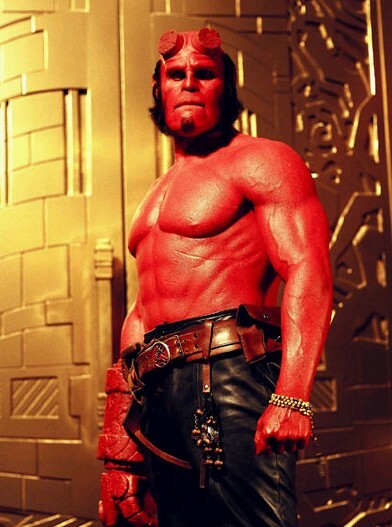 For fans of Del Toro’s fun and colorful films starring Ron Perlman as Big Red, this is sad news. In my mind this basically means this series is dead dead dead. Del Toro’s films, though adored by a marginal group of fans (myself included, though I prefer the first film to the sequel, a sentiment that is not shared by most) were never successful in terms of box office numbers. The Golden Army only exists because Del Toro willed it to, and no studio in their right mind is going to pick up a franchise that has failed at bat twice, at two different studios. Maybe in some far flung distant future the franchise will get a reboot on some weird wave of nostalgia, but I think we’ll all be dead by then. So be thankful for the miracle that these two films got made, and cherish them with all your heart. You will never know the icky outcome of Liz and Hellboy’s twin children, or see him become the Beast of the Apocalypse. Time to get to work on that fanfic.